Whether someone is enrolled in swim lessons to learn to swim or has been swimming for 12 years competitively on a team, every individual swimmer will experience a stage of regression, progression, and plateau at some point in time. Most commonly seen are progressions and regressions, as plateaus are seen in more advanced swimming athletes who are trying to drop time for races in meets. Regression – a return to a former or less developed state. Progression – the process of developing or moving gradually towards a more advanced state. Plateau – a state of little or no change following a period of activity or progress. 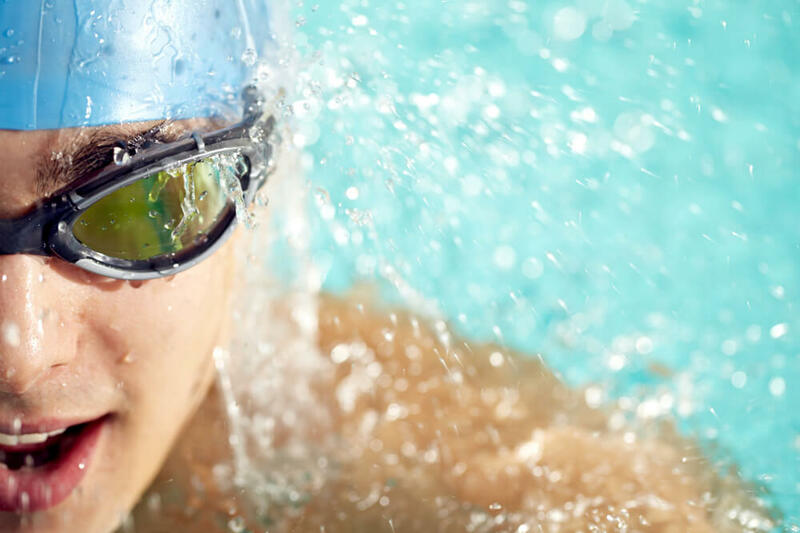 The reason that it is so important to understand these terms as a swimmer or a parent of a swimmer is to expect this at some point in lessons or training, and to be able to tell the signs and how to overcome feeling stuck in one form of a stroke and not being able to move on as quickly as desired – or feel set back, so that we can try new approaches to our teaches styles to further their skill set and learning. A lot of swim lesson clients, whether it is the swimmer or the parents, will get frustrated with the process. Swimming is a lot of repetitiveness to strengthen currents skills before it is possible to move on or up. Once side breathing is introduced, this may make the swimmer regress away from the technique that they had already acquired. For some reason, it is as if they are starting all over because they have been taught to breathe by rolling over on their back and floating in the beginning in order to relax and catch their breath. Once they have developed control over their body movement and learned safety skills, it is time to refine the stroke to side breathing, which makes the stroke faster and more efficient, and easier for the child to stay afloat and avoid having their feet sink in the water. Swimmers sometimes have to relearn their stroke because this specific arm movement is so different and will catch them off guard, as it has not yet been engraved into their brain as muscle memory or an automatic movement. In kids who are as young as two or three, it is extremely difficult because of the stage of development that they are at. It is hard to have adequate enough strength and coordination. The best thing you can do for a student who is showing signs of regression varies from child to child. Some kids need coddling and positive reinforcement while others need you to be sterner and push them because you know that they are capable of it either way. It is just a matter of the approach you take in order to get them to where they need to be, at the pace that suits them, and also having a lot of patience. At Steve Wallen Swim School in El Dorado Hills and Roseville, we offer swim lessons in small student to teacher ratios so each student receives personal attention and maximum benefit. When someone thinks of the word plateau, the first thing that comes to mind is usually higher level athletes and not beginning swimmers. Contrary to popular belief, you can actually see this a lot with three-year-olds and beginning swimmers. Maybe they come in with a certain way that they have learned to swim that they are stuck in. For example, a lot of the kids around the ages 10 to 14 tend to swim with their head out of the water (as a water polo player would), or breathe in the front and then put their heads back in, even if they are doing side breathing, which can be frustrating since they are so close to the correct way. So, already there is an obstacle for the swim instructor, and we have to try to break that habit by trying to incorporate one of the hardest skills to teach side breathing. With older kids, we most commonly see a certain amount of time that we can predict will be shaved off slowly with weekly progressions, although the athlete will eventually hit a point where they will no longer be able to drop any more time. If you think about it, this actually makes a lot of sense considering that it would not be plausible or possible for someone to ever be able to swim a distance in zero seconds. Common Plateaus that we experience, or skills where kids get stuck and can no longer progress, are when kids have bicycle kicking, shifting of arms in water forward and backward (instead of exiting the water overhead), side breathing, keeping their eyes looking forward instead of down, back floats, etc. Progressions are a very interesting process. The cool thing about this is that it varies from student to student. Some kids pick up skills very quickly, while others need repetition, time after time, and still there is a disconnect until a certain amount of time has passed. Sometimes, after a long time of being stuck in the same place, students come in for a lesson one day and something just clicks. It is amazing how suddenly, a switch can go off. Sometimes, change can happen overnight with no explanation, but this is very exciting for the students! Overall, we advise you to not be discouraged when you feel as though you are stuck in a plateau or that you’re backtracking/regressing. You should always stay enrolled in swimming lessons in El Dorado Hills and Roseville and eventually, you will get through the regression tunnel! Everyone hits a spot in the learning process where they feel that they are stuck in a repetitive loop and cannot progress. Eventually, the swimmer or kid will get there, and it usually comes out of the blue and they begin to excel at a rapid rate. This entry was posted in Swim Lessons, Swim Programs, Wallen Swim. Bookmark the permalink.